Intel dropped the initial Skylake offerings and naturally there’s a bevy of new Motherboards and Ram flooding the component pipeline faster than ever before. Crucial is always ready for a new platform and today we have a kit of Ballistix 2400MHz 16GB dual Channel DDR4 to take a look at. 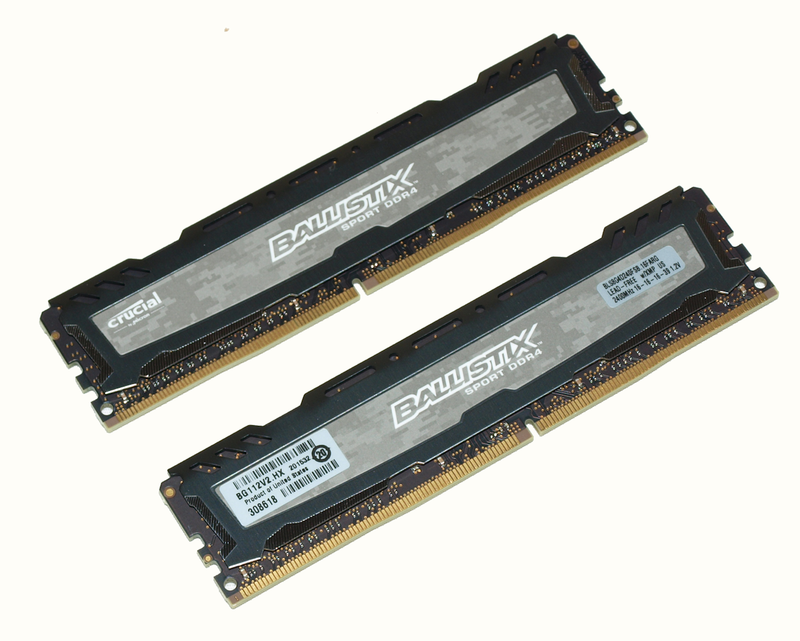 Coming in at $114.99 the Ballistix 2400MHz 16GB DC kit is actually in the very affordable range considering its tight timings of 16 16 16 39. Crucial delivers with the gun-metal grey Ballistix heat spreaders and produced a kit with a unique look all of its own. Being a Dual Channel kit two sticks is pretty normal but we have seen 16GB kits running 4 x 4GB that we would advise against. 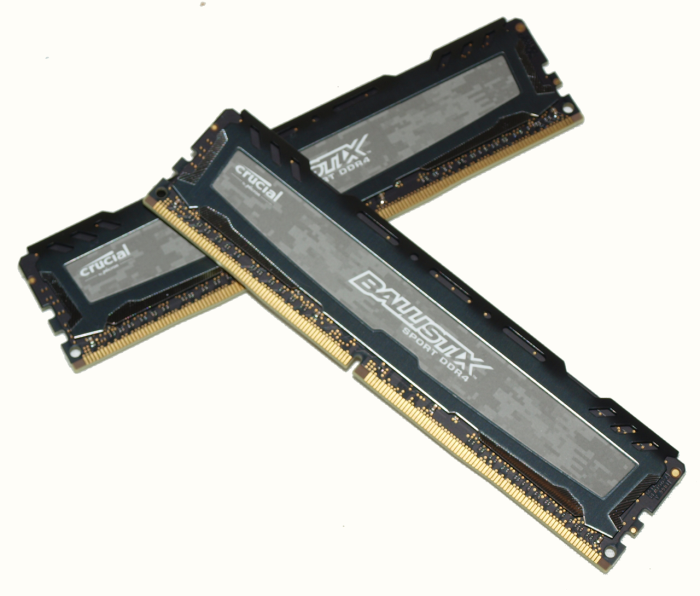 The new DDR4 DC for Skylake is pretty inexpensive so pick up a 2 stick kit and later on if you want more you have two open slots to populate. So Crucial is seeing the Ballistix sport as the ram for entry-level and mainstream users and that’s a good segment to target. Entry level and Mainstream users need easy to install and easy to run memory and that’s what we found when we popped the kit into the test rig. 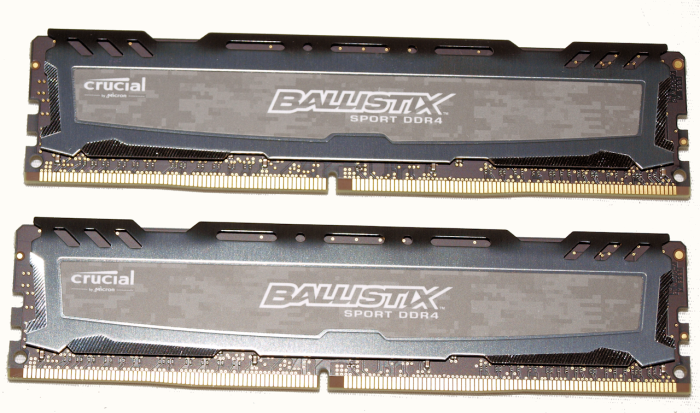 The Crucial Ballistix fired right up and went to its XMP setting with no tinkering required. As always check your BIOS revision and if it’s an early BIOS consider flashing to a newer BIOS to get the benefits of wider ram recognition and an easier install. There wasn’t a lot of information when Skylake CPU’s dropped and Dual Channel ram was a decision made by Intel and the memory manufacturer’s just have to live with the decision. The reason we mention this is because Haswell-E (2011v3) uses Quad Channel which offers a broader bandwidth and was already in production. It would have been a smart move on Intels part to keep SkyLake a Quad channel setup but that might have encroached a little too much on the 2011v3 HEDP (High End Desktop Platform). 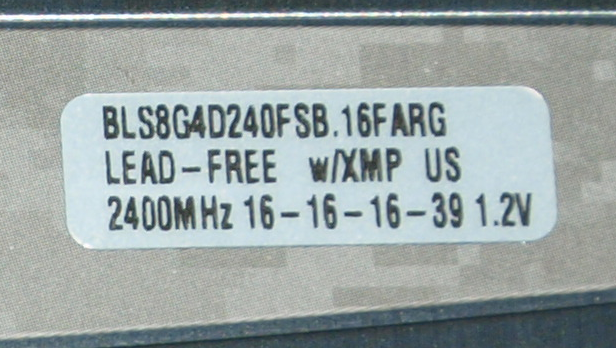 The Crucial Ballistix Sport comes with two identification stickers and this one shows it as 2400MHz 16 16 16 39 at 1.2v it also notes that it is an XMP kit and a lead free product. 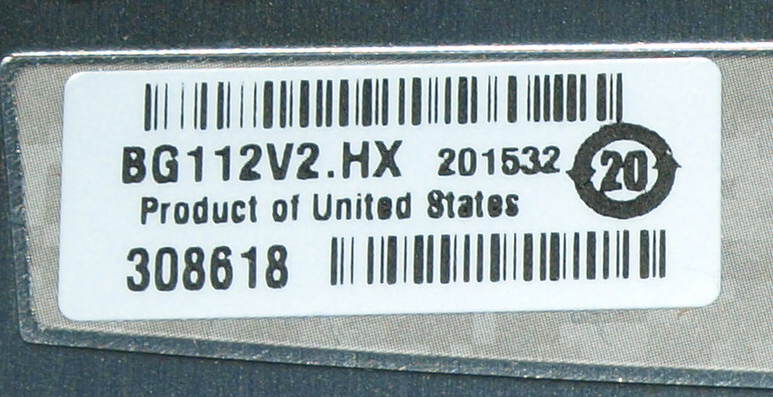 The second sticker is a bar code identification sticker and notes that this is a product made in the USA though we suspect non-US made products were used as well. It’s very hard in todays global economy not to have out of country components included in the building of electronics. Here’s the prerequisite Specifications table and there are a couple of things not covered here. Crucial Ballistix Sport has a limited Lifetime warranty and if you should happen to pick up the wrong kit Crucial has a guaranteed compatible warranty so getting a kit that is compatible is not a problem. 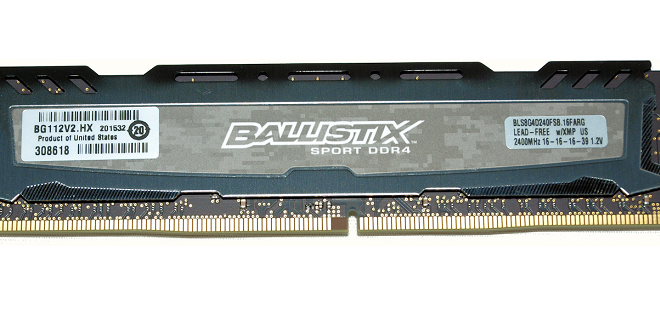 The Crucial Ballistix Sport hits the spot for a entry-level / Mainstream level 2400MHz 16GB kit, The kit is an easy to install rock solid stable performance which is just what beginners need.